I have a long history with these cupcakes. 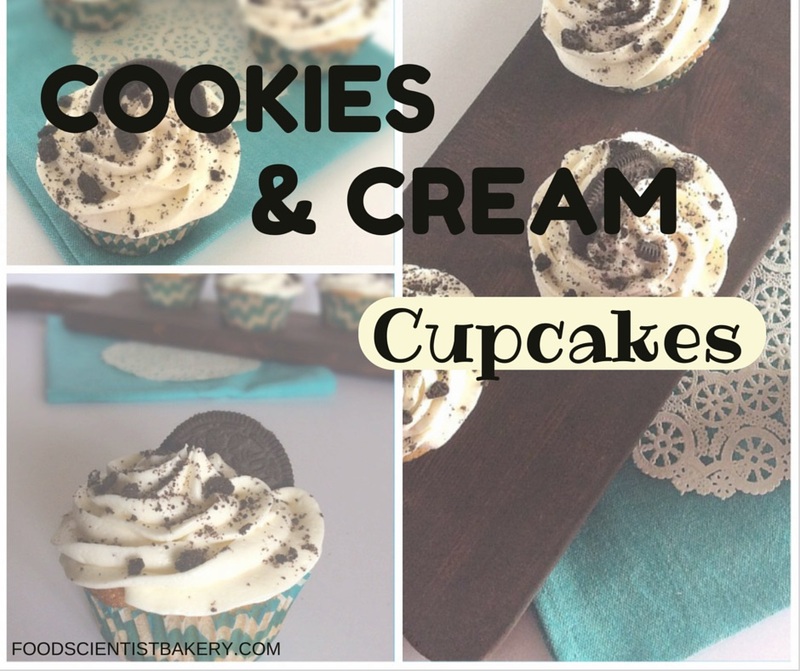 I really do love this flavor combination, but it often ends up being such a sweet cupcake that I can’t handle it! 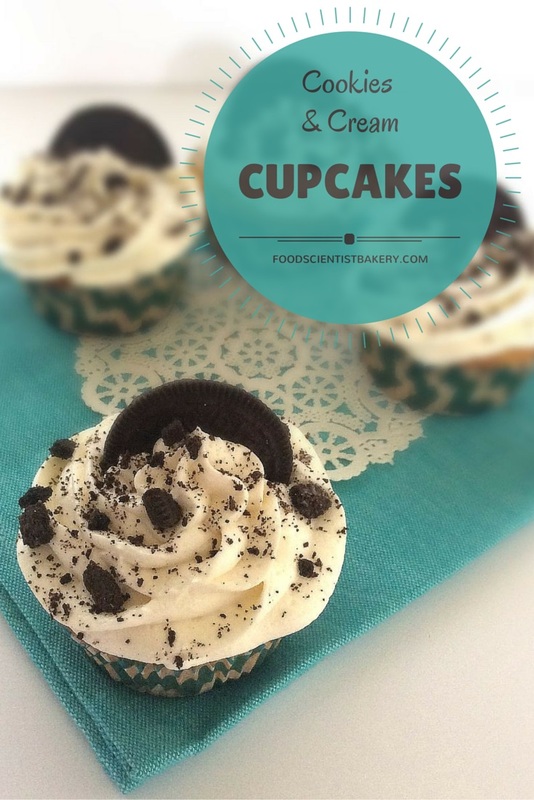 I followed a recipe closely the first time I made them, and they were good but I felt the need to make them exactly what I wanted – like eating an Oreo in cupcake form. I played around with the frosting, the cupcake, and the ‘cream’ ratio until I had what I wanted, and then I made DOZENS for my sister’s wedding. It was a lot of fun to make so many cupcakes! This recipe is now exactly how I like it, and Michael’s coworkers are going to get some treats tomorrow morning. Line cupcake pan with paper liners. Place an Oreo half on the bottom of each liner. Preheat oven to 350*F. In small bowl, mix flour, cornstarch, baking powder, and baking soda. Set aside. In bowl of electric mixer, beat eggs for 20 seconds. Add sugar and beat for 30 seconds. Add vanilla and oil, beat. Reduce speed to low and slowly add half of the flour mixture. Add half of the milk, then the rest of the flour and the rest of the milk. Beat until just combined. The batter will be thin. Fold in the chopped Oreos. Fill liners about 3/4 full with batter. Bake cupcakes for 12-14 minutes. Cool in pan for 2 minutes, then remove to wire rack. Combine butter and cream cheese in bowl of electric mixer and beat on medium-high with whisk attachment until smooth, about 1 minute. Beat in powdered sugar until smooth, 2 minutes. Add Oreo filling and vanilla and beat on medium-low just until incorporated, then beat on high for 2 minutes. Add whipping cream for a lighter frosting and whip for 4 minutes on high. Use to frost cupcakes. Top with Oreo crumbs and halves if desired. It was great! My kitchen was filled with flour, sugar, and huge mixing bowls. I also made several trial batches, which was fun! I admit I ate a lot of Oreos during that process 🙂 They’re just so good! Yum! My daughter has birthday coming up, I may just have to make these!